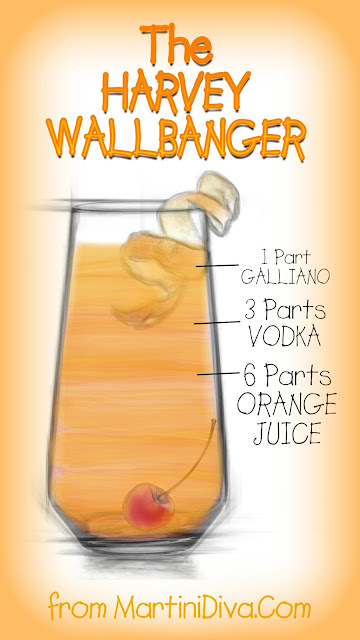 During the 1970's the Harvey Wallbanger was a very popular cocktail, pretty much a staple in most bars. In fact, the drink was so popular in that era that in the 1972 presidential election "Harvey Wallbanger" garnered an impressive number of write in votes for president. 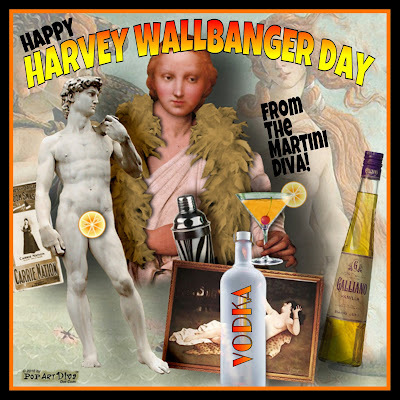 Whatever it's origins, the Harvey Wallbanger is an official I.B.A. cocktail and the classic recipe is 3 parts vodka, 6 parts orange juice and 1 part Galliano and it's typically served on the rocks in a highball glass with a garnish of an orange slice and a Maraschino cherry. Cheers and try to avoid walls.